Top 5 English dishes you should sample | UNIGLOBE Direct Travel Ltd. The English pride themselves in being urbane, suave and cosmopolitan. They have been invariably labeled snobbish, aristocratic, conservative and old fashioned. I do not have the temerity to tell them this to their face - what I can do is look around their culinary exploits and let you conclude whether they deserve this stereotype. Check out the list of their top dishes below. 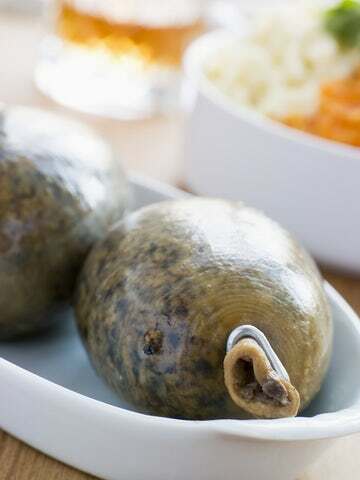 Haggis has been adopted as the top delicacy in Scotland. Although it comes from less than endearing parts of the sheep, its taste will quickly make you forget this fact. It is served with whiskey sauce, swede and potatoes. Some people opt to combine it with chips and fish. This is a creative combination of minced meat and a mixture of dried fruits, spices, fat and brandy. The mince pies are best eaten straight from the oven. Their contentious origin (the crusaders brought them back) makes them even more popular. The first chips in England were made in 1860. Unlike their French fries counterparts, the English chips are much larger and thus feature a different texture. Previously, the English chips were served with cod but it has been over-fished and thus has seen other types of fish appearing on the plates. A kipper is a herring that has been sliced into two, salted and then smoked and then served with some vegetables. It is very simplistic and is one of the things that open the English underbelly for mockery from other European countries. This is by far the best culinary delight to come out of England - in a township called Shetland. The mutton is soaked in a saturated salt solution for 3 weeks and then dried. It will then be used to make soup with potatoes, swede and cabbage, and served with oatcakes or hot, fresh bread. Now that you know the culinary delights that have come from England, do you still they deserve the stereotype? The few delicacies that have their origin in England are very delicious indeed, however, it is fair to say that culinary genius in not one of England's strong suits.